I have recently been involved with a criminal liability and negligence claim in which a restoration contractor - through several breaches of legislation and negligence - caused both harm to a policyholder and damage to their property. Unfortunately for the contractor, it was quite easy to prove liability against them. 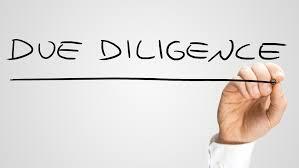 The contractor failed in their statutory obligations and failed in their general duties of care - in short they couldn’t demonstrate or prove due-diligence. In damage management it is important that organisations and practitioners understand risk, liability and due-diligence - general principles taught on all Dewpoint courses.